Heidi Klum was spotted leaving her New York hotel clad in a pair of light-washed overalls paired with… nothing. 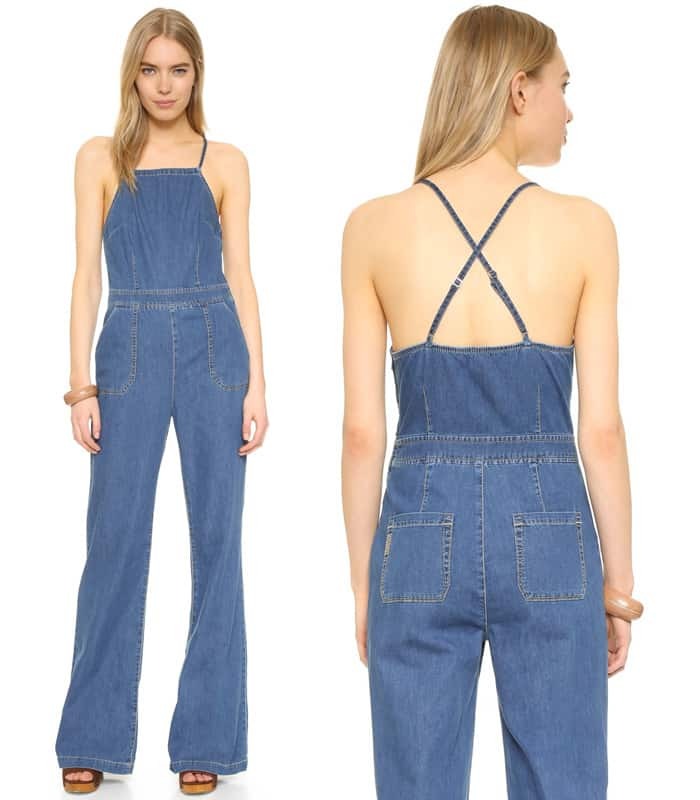 Based on Heidi’s outfit, it looks like wearing overalls alone with no shirt underneath is becoming a trend. 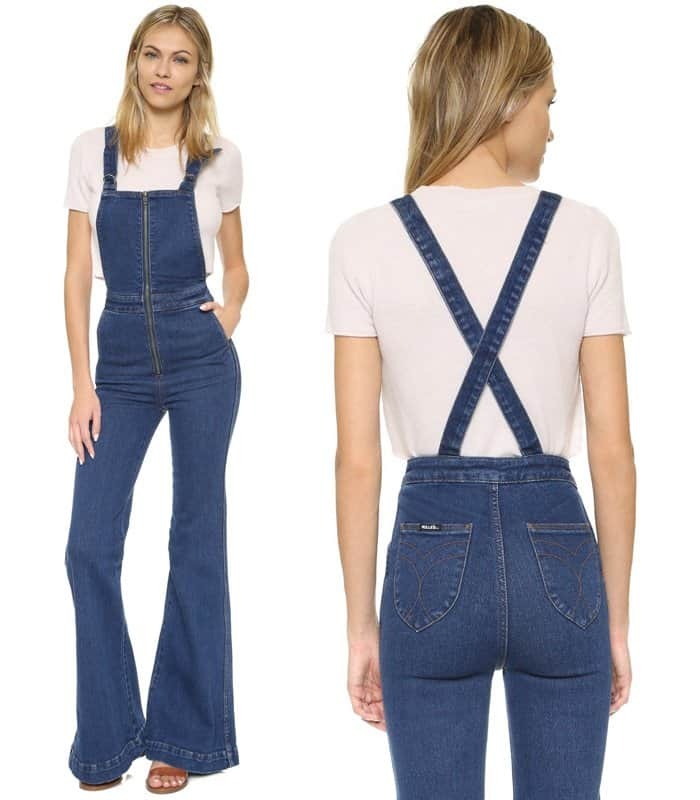 The 43-year-old German model picked a pair of overalls from Stella McCartney (available at Net-A-Porter). We like how form-flattering the piece is. 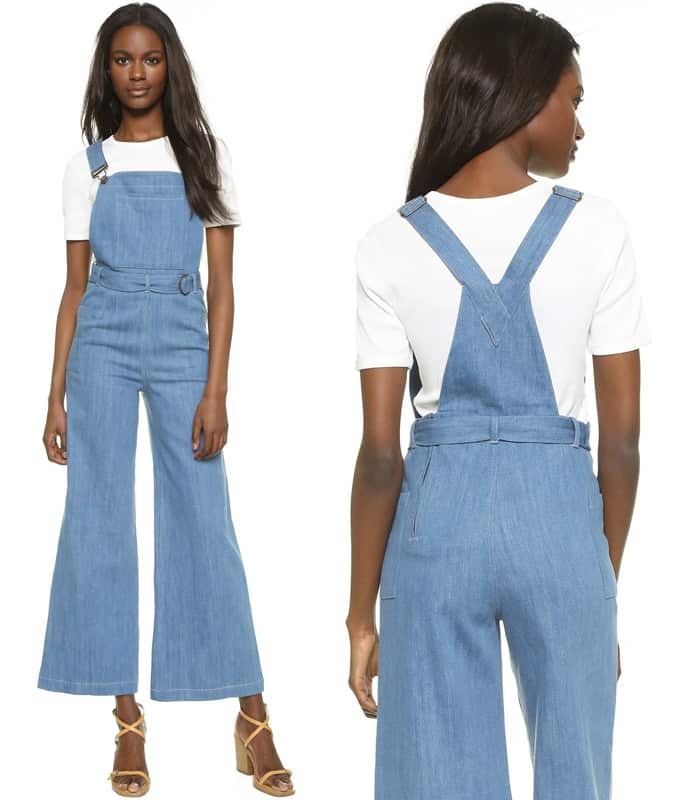 We also love the flared bottoms, giving the overalls a perfect juxtaposition of ‘70s and ‘90s trends. Heidi styled her jumper with a pair of Michael Kors “Playa Norte” sunglasses, a Hermes “Birkin” bag in tan and a pair of chunky-heeled sandals. 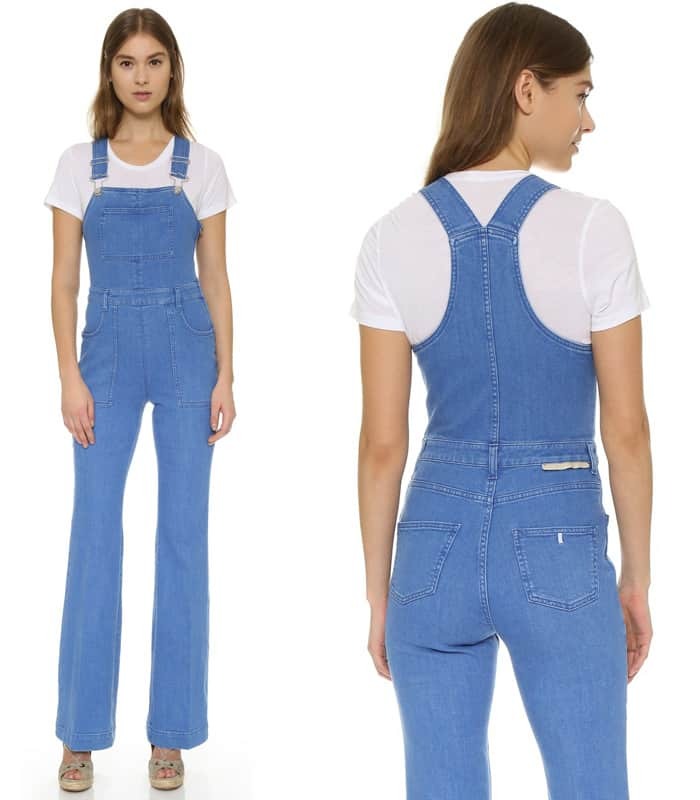 Heidi’s overalls are perfect to wear this season. They’re still available online if you want to emulate the model’s style. If you’re not feeling the Stella McCartney pair, don’t worry! Overalls in general are huge this season, so we rounded up a few more pairs for you to look into.